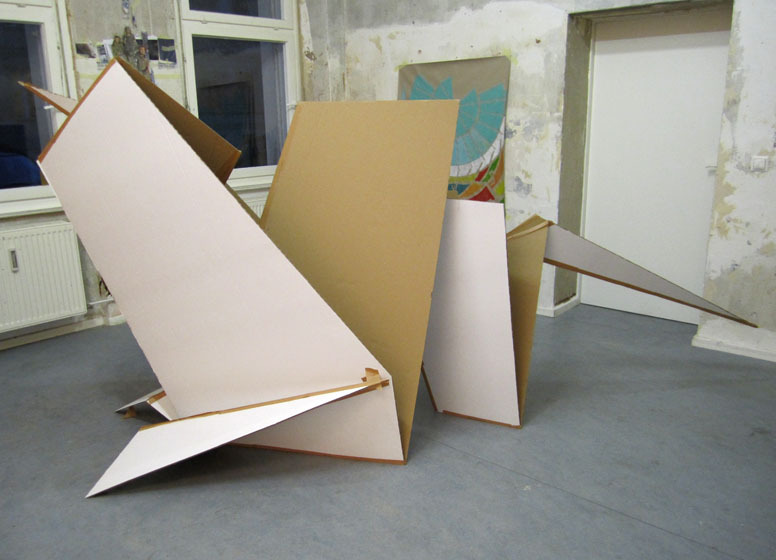 I ventured to Artport, Berlin along with Leo, to see their inaugural exhibit: But what about the noise of crumpling paper…. The group show features a few of the artists that I met while in Berlin (including Deborah Wargon and Kai Teichert) along with several others. All of the exhibited work is made from the recyclable medium and spans from the pristine to the shreddable. 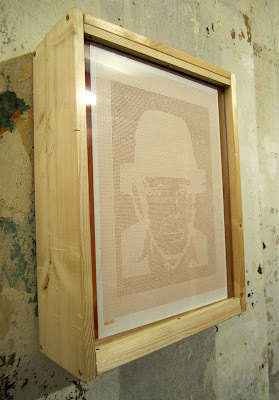 The paper-punch piece above felt relevant in the context of the medium, and because of the use of German artist Joseph Beuys (1921-86) as subject matter. I met Stephen who explained that the image is based on one of Andy Warhol’s Polaroids, once again merging my New York experience with that of Berlin. 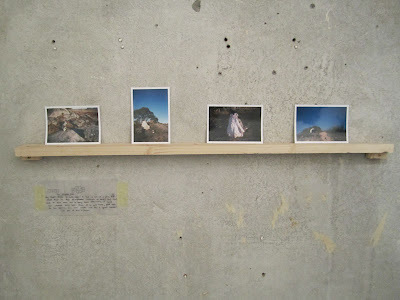 Lauren Moffatt, installation view, 4″ x 6″ color photographs, performance. Artist Lauren Moffatt, another participant in the exhibit, felt very familiar to me which might be due to Australian photographer Tracey Moffatt, with whom she shares a surname. Her work, shown above is simple yet offers complexities within the context of the photographs. A paper dress remains in a landscape, crinkled and slouching, a reminder of the body that may have once kept the garment upright. Petra, who I was informed is a recent graduate has a somewhat naive (possibly purposeful) approach in her handling of the medium, but upon recognizing the fallen Unicorn, I couldn’t help but smile. The Unicorn, which I was told stood tall for the duration of the opening, now lays face forward on the gallery floor. The image is both pitiful and regal at the same time. I actually felt a greater appreciation for the piece once I realized that it once stood, and due to material usage and environment (humidity? room temperature?) has bowed its head in a moment of surrender. I look forward to see what they do next!